Sega has now confirmed that Puyo Puyo eSports is headed to Nintendo Switch. The game will arrive in Japan on 25th October. Earlier this month, a South Korean gaming board classification - which had already leaked the existence of games like Fortnite and Super Bomberman R in the past - revealed that a game under the name of Puyo Puyo eSports could well be coming to Switch. Now, we have official confirmation thanks to a Tokyo Game Show-related announcement. The game is a brand new entry to the puzzler series, and while it shares many visual similarities to the Puyo Puyo Tetris mashup, it appears to be a completely new game in its own right. In addition to the game's standard rules, it also includes two carefully selected rules from Puyo Puyo Fever. 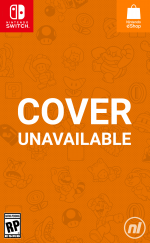 Online battles and eight-player offline tournament modes will also feature, alongside 24 playable characters from across the series. The game is set to be playable at Tokyo Game Show this week and Sega is also hosting a Puyo Puyo eSports exhibition match on 22nd September from 15:50 to 16:10 JST (that's 02:50 EDT / 07:50 BST / 08:50 CEST). You can watch that on YouTube if you're interested. No western release dates have been confirmed just yet, but we do know that this is a digital-only title in Japan. Well, at least it's a bargain game. I'd be a little disappointed if it cost as much as Puyo Puyo + Tetris without the Tetris with a couple added modes. Puyo Puyo Tetris fills all my Puyo Puyo (and Tetris) needs. It was one of the first games I bought for the system! A few of my colleagues ridiculed me for spending so much on Tetris. If it was Tetris E-sports it would be a day one. Puyo Puyo I struggle with, never managed to really get the hang of it,not to a competitive level anyway. I wish Nintendo would give us a proper Dr Mario/Luigi for Switch, I like it even better than Tetris. I can play that for hours at a time, love it! The NES version releasing tomorrow doesn't cut it, even with online play added. I fear that's our Dr Mario for this gen.
@SmaggTheSmug Every portable console needs a Tetris game no matter the cost. I did the same thing. I bought it digital too so I have it with me all the time! Never know when you are going to need to bust out a game of marathon Tetris. @OorWullie I'm the same. I have never quite managed to get the combo system down. It feels like you need so much luck to get those to line up. I basically end up putting loads of pairs of colours down and throwing the rest in in the hopes of making a load of combinations connect at some point. And yeah, four player Dr Mario, Luigi, Toad and Peach would be ideal on Switch and an absolute no brainer for me to buy day 1! The Puyo Puyo Tetris demo was enough in my books, until I find a cheap copy. Also, hi, Sega, are you there? Sonic Adventure DX, 2 Battle, 3, and then the Shenmue games. Maybe, NiGHTS, and figure out the joycon motion/aiming controls to do Virtua Cop. Then, do whatever your silly hearts desire. Hm......I was expecting a bit more than reused static artwork from the mobile game in the PPT engine. But I guess it’s nice that it isn’t something so exciting that I’ll be distracted all day. As much as I liked Puyo Puyo Tetris, the Tetris part always felt out of place and I never cared as much for Tetris. Looks like this release will fix that! YAY! I was so Interest about TETRIS very addict as well. Puyo Puyo is similar like DR. MARIO. 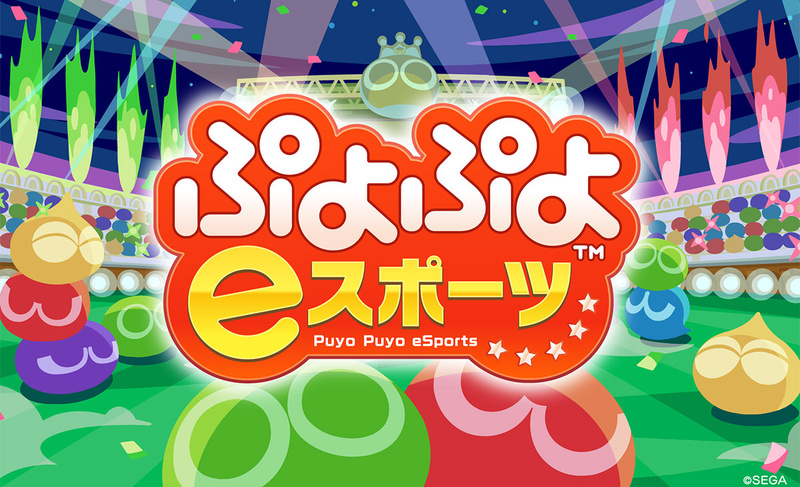 Why is Puyo Puyo need esport??? I like Puyo, but I'm not amazing at it since I haven't been playing it my whole life like I have Tetris. I love Tetris, but I can't say I care for Puyo Puyo. Now if SEGA wants to put a game on Switch, how about Super Monkey Ball? I never played that game until a few months back with some friends, and it's a lot of fun. I feel like they could do some clever things with gyro controls and HD rumble and all that. Now that Katamari is coming to Switch, I need more games to satisfy my specific lust for quirky, ball-rolling games. As much as I liked Puyo Puyo Tetris, the Puyo Puyo part always felt out of place and I never cared as much for Puyo Puyo. Looks like this release will break that! BOO! I've owned over a dozen different versions of Tetris since it came out. While I enjoyed Puyo Puyo Tetris, the novelty wore off pretty quick for me. I'm glad that they are releasing a stand alone Puyo Puyo. Now let's have a pure Tetris game! I guess since this is a eSports Version it won't have any sort of Story Mode? I always liked the over the top Storys of the Puyo Puyo Series, so it would be a real shame if this Game doesn't have one. I'm hoping this game includes many more than what's there at the moment. Right now, it looks inexcusably rushed (especially with the menus and art style) and not including all the characters from both the Madou Monogatari and Puyo Puyo series is already a letdown. Like many others here, I already have Puyo Puyo Tetris. That’s enough for me. I’ll probably also have Dr Robotniks Mean Bean Machine soon on the Mega Drive collection too. Perhaps Kirby’s Avalanche will come with SNES games to the online service one day. Still got my “Collector’s Edition” Puyo Puyo Tetris. It was a cardboard box and a keychain. Lol. It just needs DLC to make it a bit more toned down without characters.